The non-invasive brain stimulation technique, transcranial direct current stimulation (tDCS), is thought to alter cortical excitability and induce neuroplastic changes. When anodal tDCS is applied in association with motor practice, it has frequently been shown to modulate motor performance and motor skill learning. However, the majority of evidence comes from research on tDCS effects on unimanual motor tasks. Despite the abundance of activities of daily life that require complex bimanual motor skills, systematic explorations of the effects of tDCS on the modulation of bimanual motor performance and learning remain sparse. Therefore, the objective of this study was to investigate the effects of anodal high-definition tDCS (HD-atDCS) on motor performance, motor skill learning, and transfer of a complex bimanual coordination task. Twenty-seven healthy right-handed volunteers, divided into three groups, participated in this double-blind study on five separate days. Between a pre- and posttest, participants practiced the bimanual task on 3 days (training days) and concurrently received either bilateral HD-atDCS over the primary motor cortex, parietal cortex, or a sham stimulation. On the fourth day, a retention test was performed, and a second took place after additional 5 to 7 days. Neither motor nor parietal HD-atDCS improved the performance or learning of the bimanual coordination task. Unexpectedly, we found a detrimental effect of parietal HD-atDCS on a transfer task, which was most pronounced during consolidation. Therefore, further research is needed to prove the potential of tDCS to modulate bimanual motor skills and elaborate optimized stimulation protocols for application, such as in the recovery of neurological impairments of the upper limbs. The online version of this article ( https://doi.org/10.1007/s41465-018-0088-x) contains supplementary material, which is available to authorized users. We thank N. Spahn and F. Schneewind for support during data acquisition and J. Nassauer and F. Thomas for graphical support. The author states that there is no conflict of interest. Doppelmayr, M., Pixa, N. H., & Steinberg, F. (2016). Cerebellar, but not motor or parietal, high-density anodal transcranial direct current stimulation facilitates motor adaptation. Journal of the International Neuropsychological Society: JINS, 22(9), 928–936. https://doi.org/10.1017/S1355617716000345. Roy, L. B., Sparing, R., Fink, G. R., & Hesse, M. D. (2015). Modulation of attention functions by anodal tDCS on right PPC. Neuropsychologia 74, 96–107. 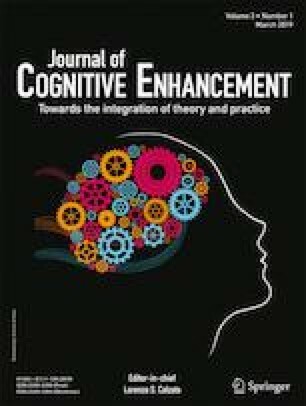 https://doi.org/10.1016/j.neuropsychologia.2015.02.028.